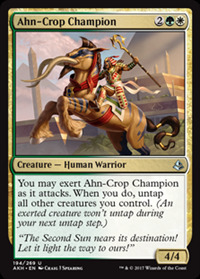 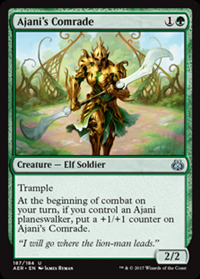 1, Sacrifice another creature: Ahn-Crop Invader gets +2/+0 until end of turn. 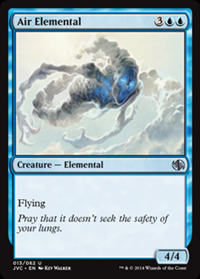 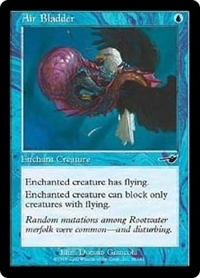 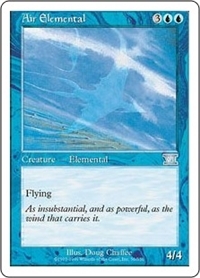 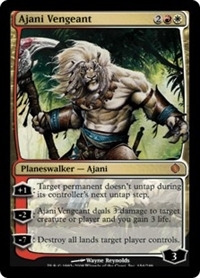 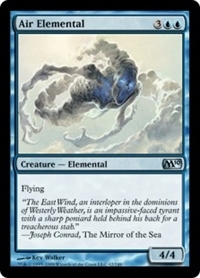 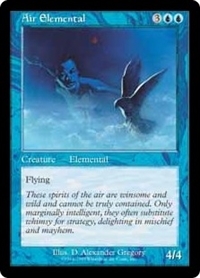 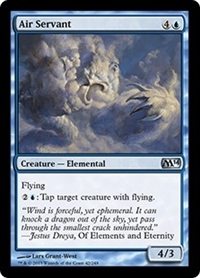 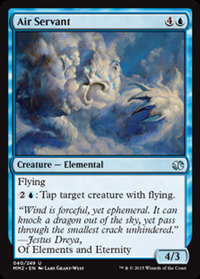 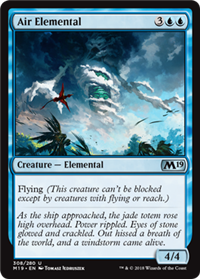 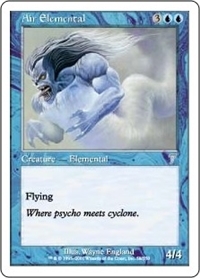 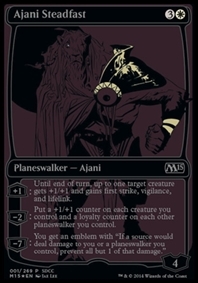 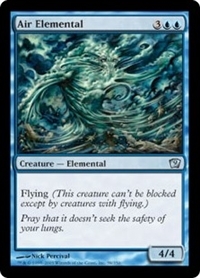 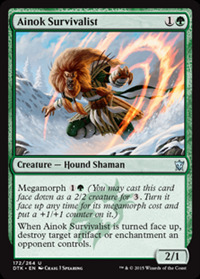 Untap target creature. 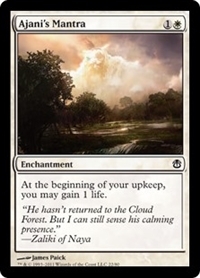 It gets +2/+2 and gains reach until end of turn. 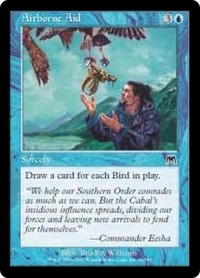 Draw a card for each Bird on the battlefield. 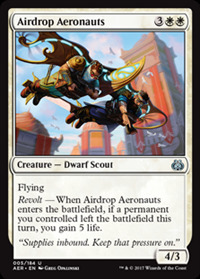 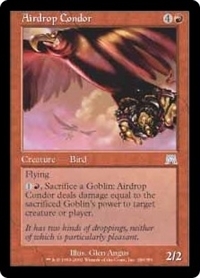 1R, Sacrifice a Goblin creature: Airdrop Condor deals damage equal to the sacrificed creature's power to any target. 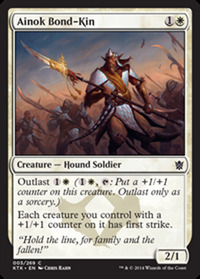 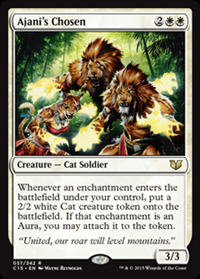 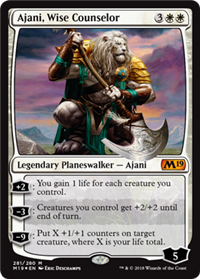 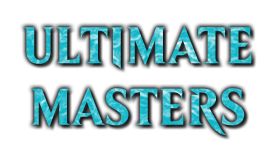 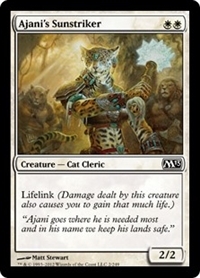 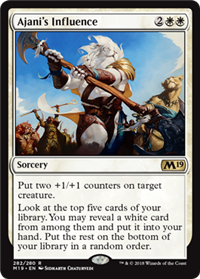 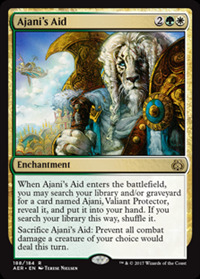 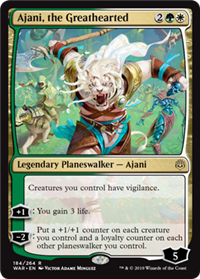 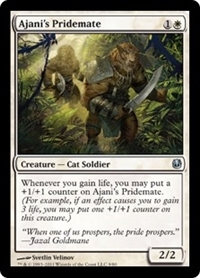 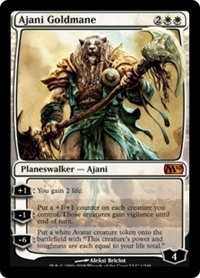 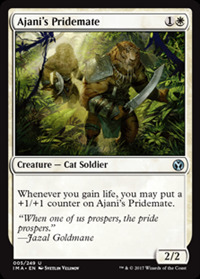 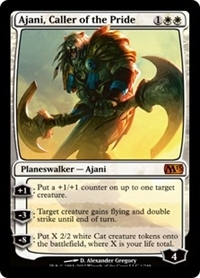 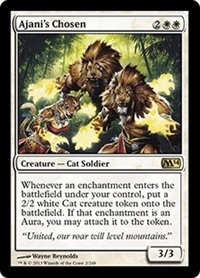 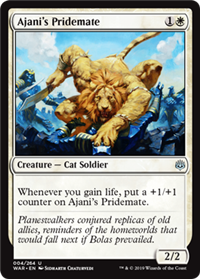 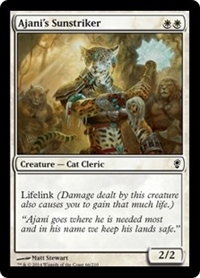 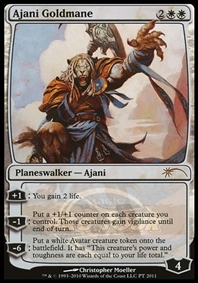 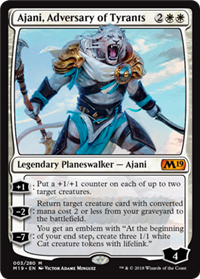 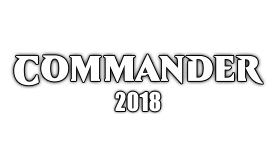 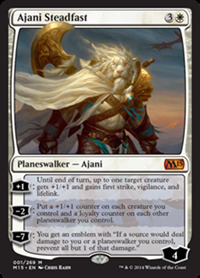 −8: Put X 2/2 white Cat creature tokens onto the battlefield, where X is your life total. 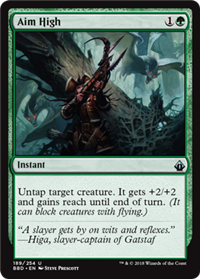 Strive — This spell costs 2W more to cast for each target beyond the first. 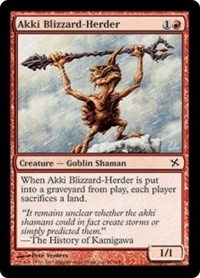 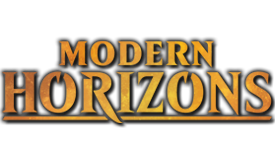 When Akki Blizzard-Herder dies, each player sacrifices a land. 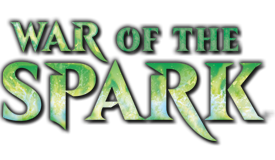 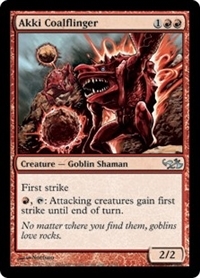 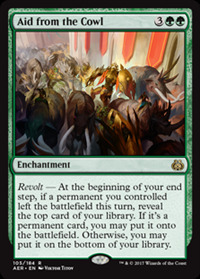 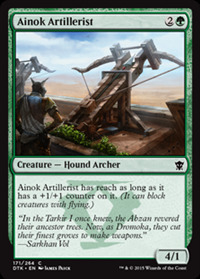 R, T: Attacking creatures gain first strike until end of turn. 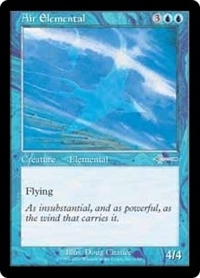 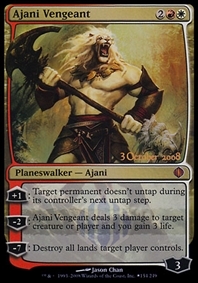 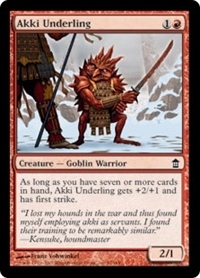 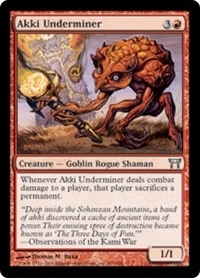 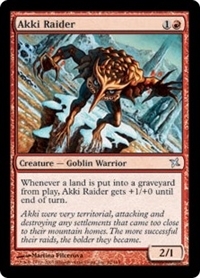 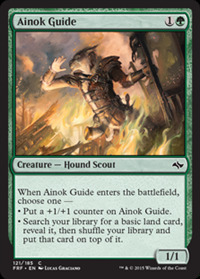 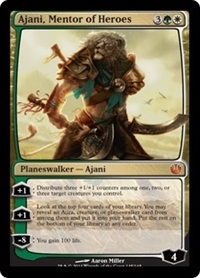 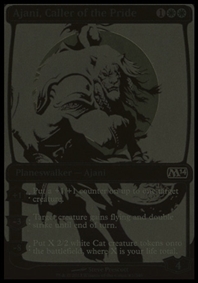 Whenever a land is put into a graveyard from the battlefield, Akki Raider gets +1/+0 until end of turn. 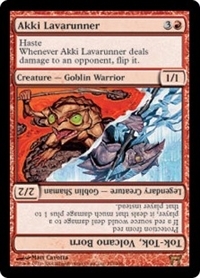 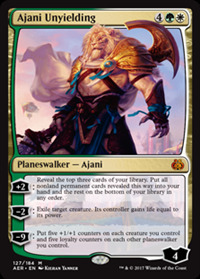 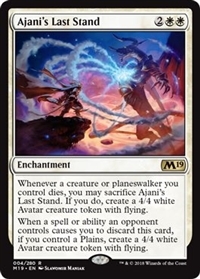 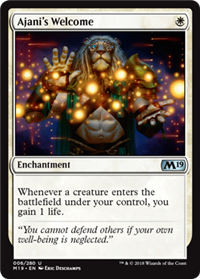 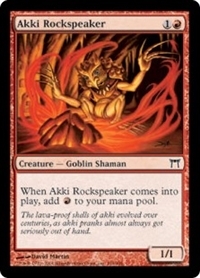 When Akki Rockspeaker enters the battlefield, add R.
Whenever Akki Underminer deals combat damage to a player, that player sacrifices a permanent. 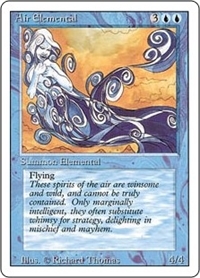 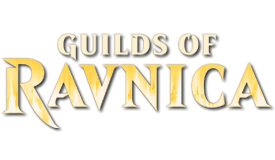 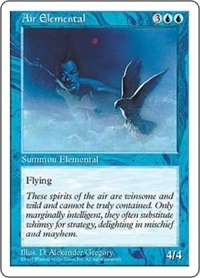 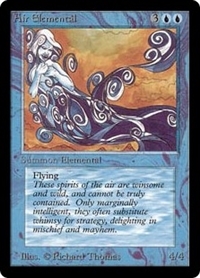 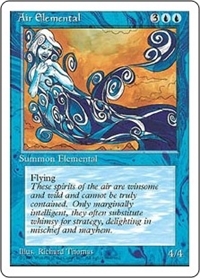 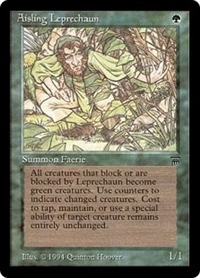 Players may cast enchantment spells as though they had flash. 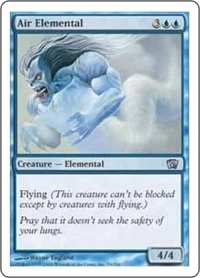 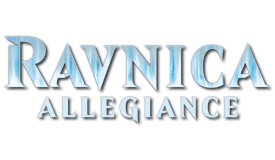 Whenever you roll H, destroy target creature that isn't enchanted. 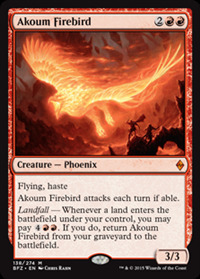 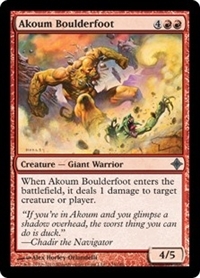 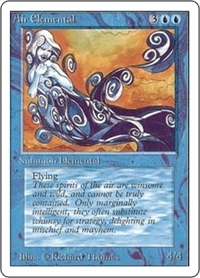 Akoum Firebird attacks each combat if able.